Do something outdoors that the kids won't forget. 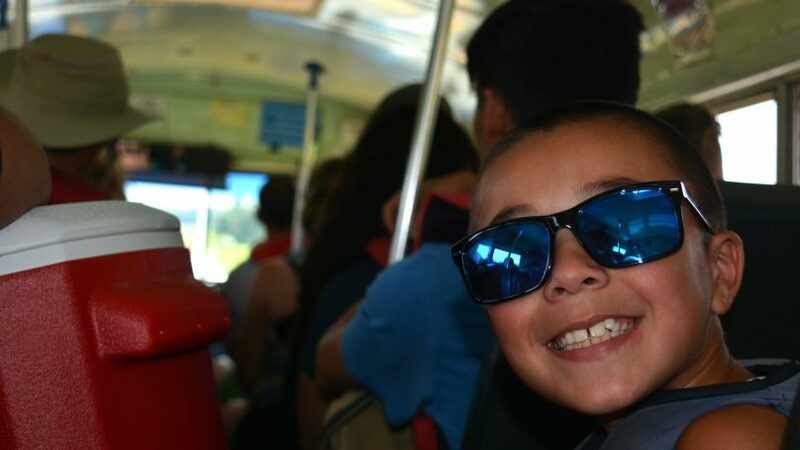 Youth and Student Group Adventures – Join us for an unforgettable youth/student group outing filled with outdoor adventure! 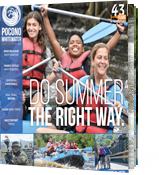 Bring your organized youth/student group of 10 or more people for a day of Pocono Whitewater Rafting, Rail Trail Pocono Biking or Skirmish Paintball OR link-up multiple activities for an overnight outdoor getaway and we’ll include FREE CAMPING at Hickory Run State Park‘s Organized Group Camping Area! 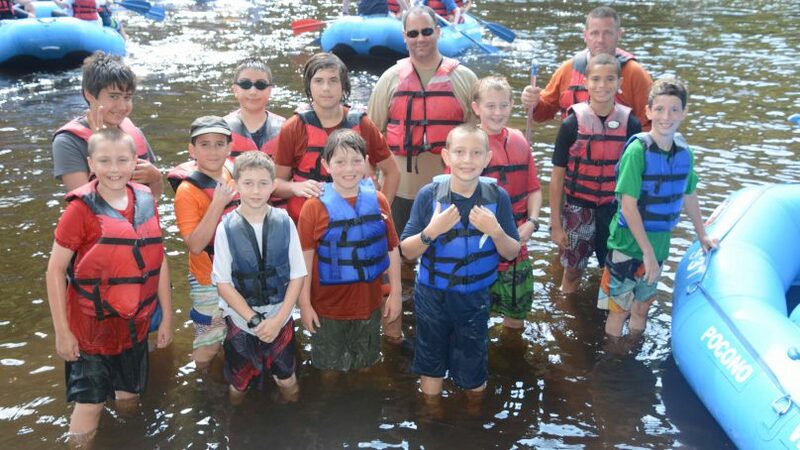 Get the kids outdoors and experience the Poconos! The following benefits are for organized youth and student groups that bring 10 or more people. 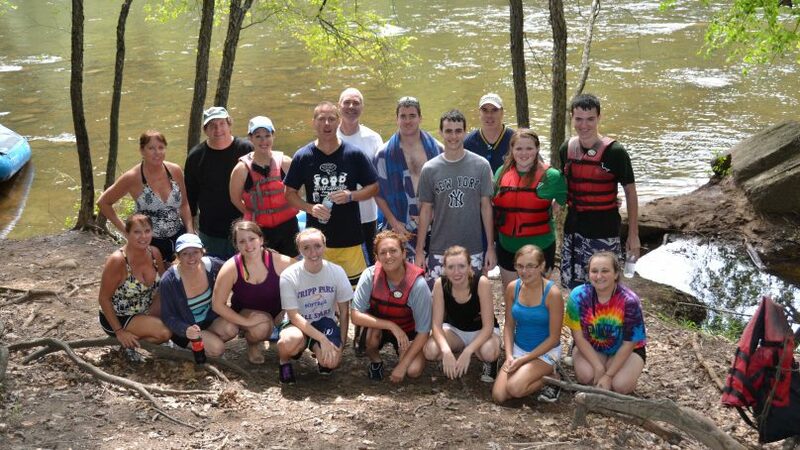 Free Camping at Hickory Run State Park’s Organized Group Camping Area for every one day activity you do with us. 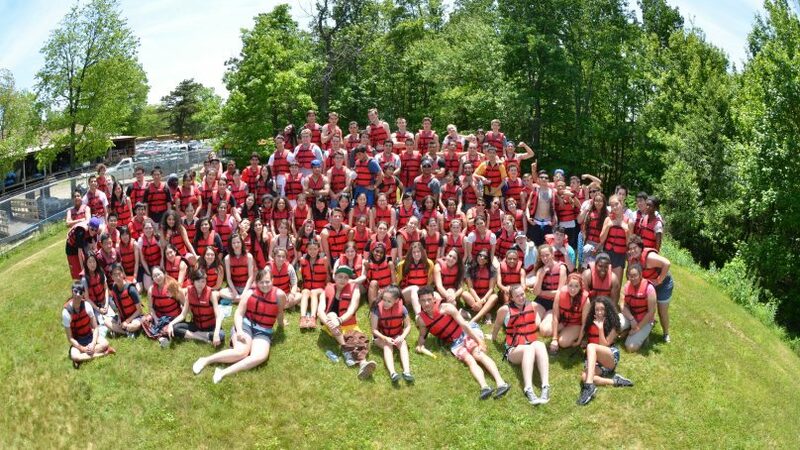 We offer Pocono Whitewater Rafting Adventures, Pocono Biking Trips, and Skirmish Paintball! Free Skirmish Paintball Passes for the entire group when you go whitewater rafting or biking with us. Discounted youth group rates for Pocono Biking. The free Skirmish Paintball pass can be used as a 2nd or 3rd day activity OR you can take them home to use at a later date. One person goes for FREE with every ten people you bring. So if you pay for 9 guests, the 10th person goes for free! Plus, other Free Group Leader Benefits! 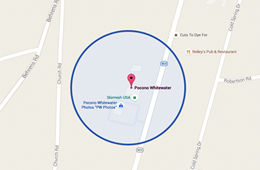 Save time & fill out our liability waiver before you arrive. If you need help getting your group together, no worries! Just give our group sales coordinator, Debbie Y, a call at 570-325-8430 extension 114. Debbie will help you every step of the way to make this the easiest trip you have ever planned. Customized food packages are available for groups of 10 or more. Transportation to/from Hickory Run State Park Campground and other local and non-local lodging properties is available for a small fee. Youth and Student group benefits are not valid on Saturdays in July and August. Your photo is taken on the river and available for purchase in our store or online at PoconoWhitewaterPhotos.com. Group Photos are also available. Skirmish Paintball – FREE entry if you go whitewater rafting with us; $24.99 per person if you would like to do Skirmish only. Bring 20+ people and get a private playing field! Every person in your group will be asked to sign a liability waiver upon arrival. An adult guardian must sign the waiver for those under the age of 18. If the guardian will not be joining the adventure, you can print a liability waiver, have them fill it out and bring it with you the morning of. Please make sure it is dated for the day of your activity.